Progressively abandoned that freedom in economic affairs without which personal and political freedom has never existed in the past. We have in effect undertaken to dispense with the forces which produced unforeseen results and to replace the impersonal and anonymous mechanism of the market by collective and ‘conscious’ direction of all social forces to deliberately chosen goals. Planning, because coercive, is an inferior method of regulation, while the cooperation of a free market is superior because it is the only method by which our activities can be adjusted to each other without coercive or arbitrary intervention of authority. Centralized planning is inherently undemocratic, because it requires that the will of a small minority be imposed upon the people. The power of these minorities to act by taking money or property in pursuit of centralized goals, destroys the Rule of Law and individual freedoms. Where there is centralized planning, “the individual would more than ever become a mere means, to be used by the authority in the service of such abstractions as the ‘social welfare’ or the ‘good of the community. 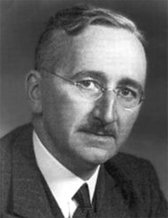 What Hayek enunciated was my view that while government can accomplish an awful lot of things, the things that it accomplishes may not be what the country and its citizens need or want. How can a tiny bureaucratic elite reliably decide what society needs or wants? Central planning leads inexorably not only to a misallocation of capital, but to citizens’ subservience to authority — authority which may not be at all wise. So what did Hayek’s contemporary, the influential John Maynard Keynes known as the Father of Government Intervention into the business cycle, think of Hayek’s opinion? 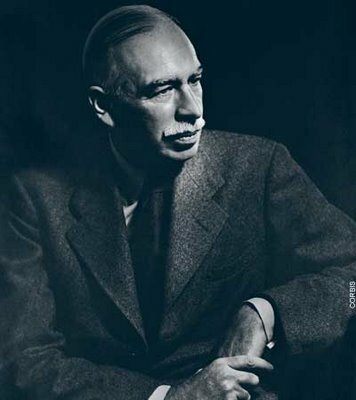 So while there was a general agreement between Keynes and Hayek that government intervention is problematic, Keynes believed that the advantages of intervention — especially in dealing with crises and depressions — outweighed the negative effects on personal freedom. 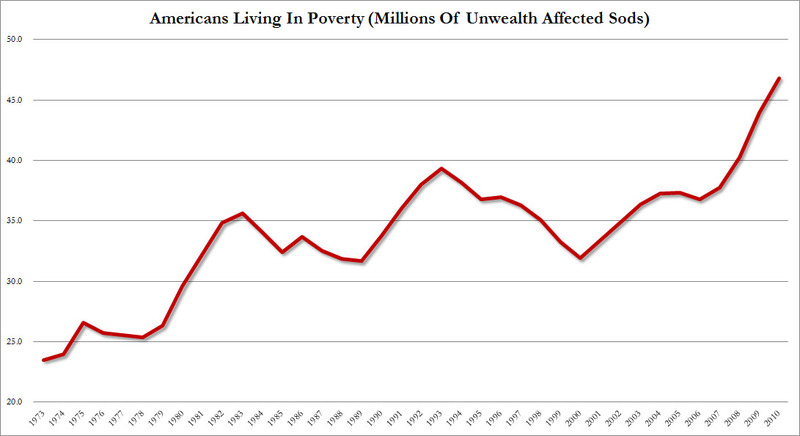 But we have seen since the crisis that government intervention to “save the system” destroys meritocracy. We have seen the zombie banks — and their failed business models — waddle on, flush with bailout cash and stimulus funds. We have seen the fact that bailing out banks and large corporations merely transfers bad debt and risk from the corporate level to the government level. We have seen Bush, Obama and Rick Perry’s friends benefit from crony capitalism. And we have seen — as Nouriel Roubini now admits — that all of the Keynesian policy instruments are failing in securing a global recovery. According to the system of natural liberty, the sovereign has only three duties to attend to; three duties of great importance, indeed, but plain and intelligible to common understandings: first, the duty of protecting the society from violence and invasion of other independent societies; secondly, the duty of protecting, as far as possible, every member of the society from the injustice or oppression of every other member of it, or the duty of establishing an exact administration of justice; and, thirdly, the duty of erecting and maintaining certain public works and certain public institutions which it can never be for the interest of any individual, or small number of individuals, to erect and maintain; because the profit could never repay the expense to any individual or small number of individuals, though it may frequently do much more than repay it to a great society. 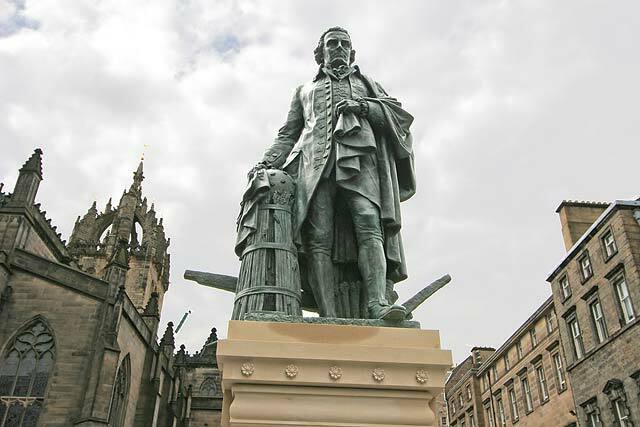 The state’s role is to create the conditions for a market economy, or “natural liberty” as Smith put it. Now, although Smith’s definition is a good place to start, there is an awful lot of debate as to what “creating the conditions for a market economy” entails (I would say that this often although not always includes socialised healthcare), it is certain that the state’s role is never to get itself involved in the market, pick winners and support its friends. While governments are captivated by corporations and beholden to special interests, the market is corrupted, and nations are walking down the road to serfdom. This entry was posted in Economic History, International Relations and tagged black swans, friedrich hayek, john maynard keynes. Bookmark the permalink. ← Will China Bail Out the World? Equal opportunity is the greatest prerequisite for free-market capitalism. Taxing and killing the nation’s middle class to keep Dear President Obomba in job is by no means equal opportunity. This seems to conflict his three duties of the ‘sovereign’ above. Or by sovereign, does he mean something other than state? I agree with many of Smith’s beliefs, but as with any other ideology, they eventually get hijacked by jackals for their own nefarious ends. this one “secondly, the duty of protecting, as far as possible, every member of the society from the injustice or oppression of every other member of it”.